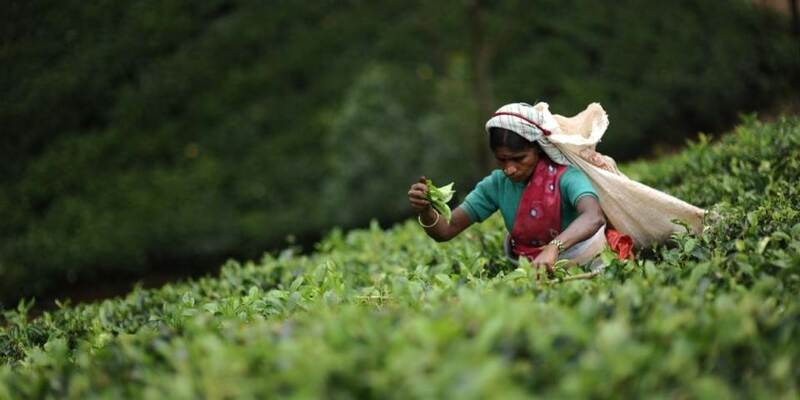 Perched at an altitude of 1250 metres in Sri Lanka’s panoramic Ceylon tea region and bordering the UNESCO World Heritage Central Highlands, Ceylon Tea Trails is situated south of Hatton in the Dickoya and Bogawantalawa region of the hill country. Colombo is a four hour drive, while Kandy is closer at one and a half hours away. 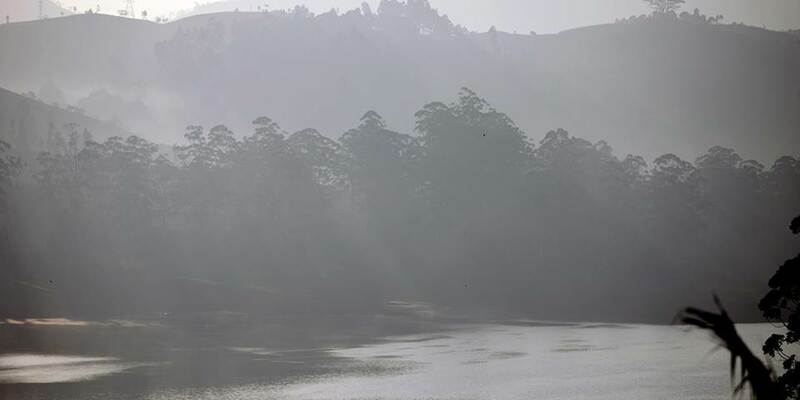 Most guests arrive by car as part of a wider itinerary, but some like to take the scenic train journey from Kandy to Hatton. Helicopter and seaplane transfers can also be arranged. Each of the bungalows has the air of a private house and with all meals and drinks included in the rates there are no extra bills to be concerned about. Dining is a delight, with meals served al fresco on the terrace or in a beautiful dining room set with the best china and glass. There are no menus; instead the chef will discuss what is fresh on the day from which to conjure up delicious meals. Guests are encouraged to visit the other properties for lunch, dinner or the wonderful afternoon tea, complete with cucumber sandwiches and scones with cream and jam. Take time to relax on the wide Verandah while being waited on hand and foot by the discreet butler, play a game of croquet or swim in the pool, life is the way it was in a more gentle age. A world of adventure and discovery awaits those who venture out. 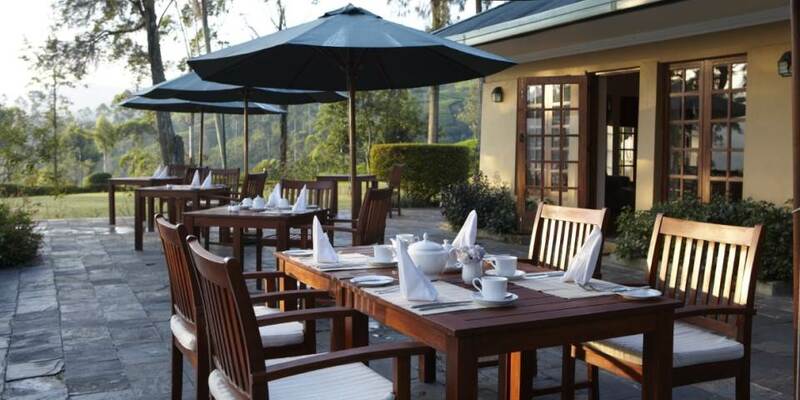 The pristine trails through immaculate tea gardens provide an array of walks, adventure trails and mountain bike rides for all levels of ability. Cycle downhill from Norwood to Castlereagh for lunch then relax by the pool before making the uphill return journey. The Tea Experience should not be missed, where the resident tea planter will show first-hand the age old tea making process, right through from picking the two leaves and bud with deft hands, to the factory where the all-important conversion to made black tea happens using traditional machinery some of which is 100 years old. The tour then ends with a tasting of different grades of tea. 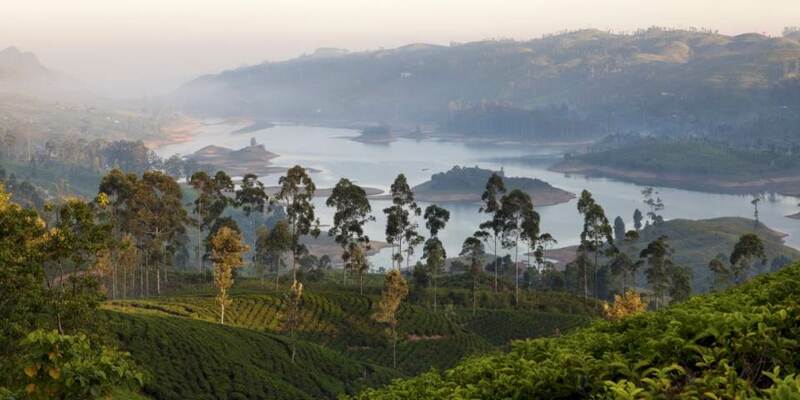 Tea Trails will leave you with a newly found appreciation of this wonder herb “Camellia Sinensis” and the terroir of Ceylon Tea. 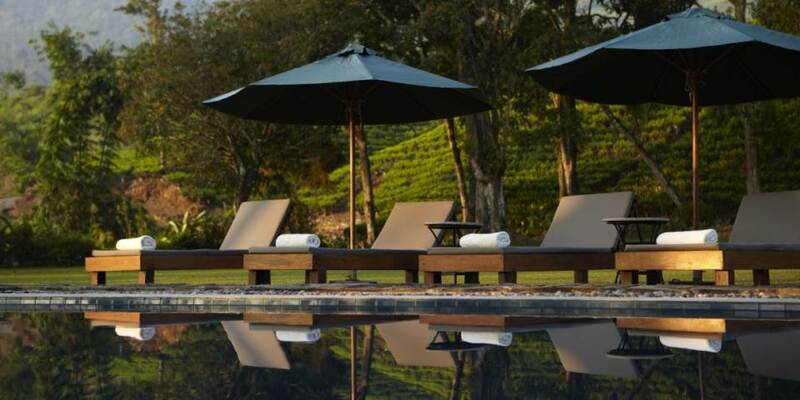 This delightful resort consists of 4 restored colonial era tea planters’ bungalows, set between 4and 15 kilometres apart. 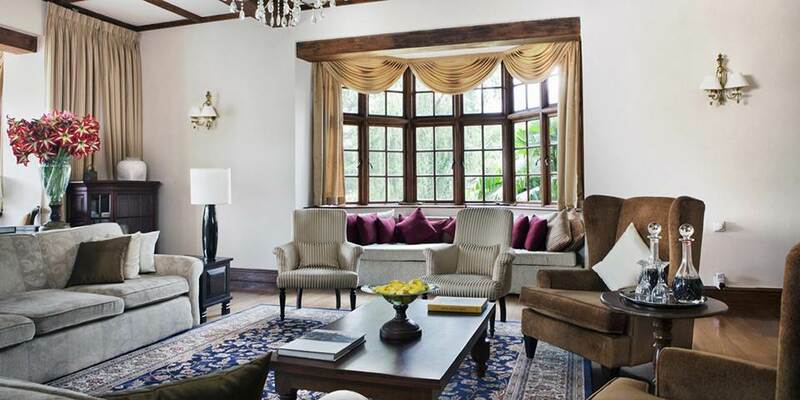 Each has its own individual style, with rooms named after former British estate managers who lived in the bungalow, all have period furnishings, exquisite butler service and gourmet cuisine. The bungalows vary from 4 to 6 rooms and suites, with a total of 20 rooms in all. 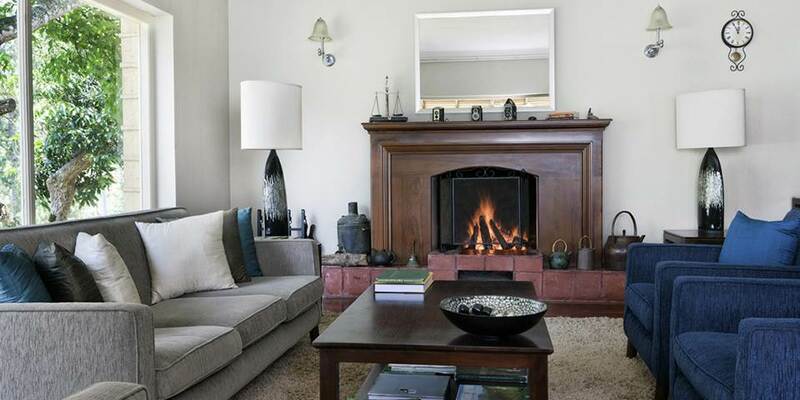 Each bungalow has many sitting areas, old wooden desks to write postcards and with roaring log fires which are lit in the cooler months. Old books and prints, antique maps and rooms filled with flowers all add to the ambience. Summerville, the closest to Hatton stands sentinel on the hillside with glorious views over Castlereagh Reservoir and the surrounding hills, with a swimming pool, summer house, sunbathing deck and in room spa treatments, the temptation to laze here is great, but guests should take the opportunity to visit the other bungalows. Just a short drive away, or even better, a 20 minute rowing boat ride across the lake is Castlereagh, with a slightly more grand feel and with the addition of a croquet lawn this too has all the facilities of Summerville, nestled in a wooded dell close to the water’s edge it too offers unrivalled views over the lake and beyond. 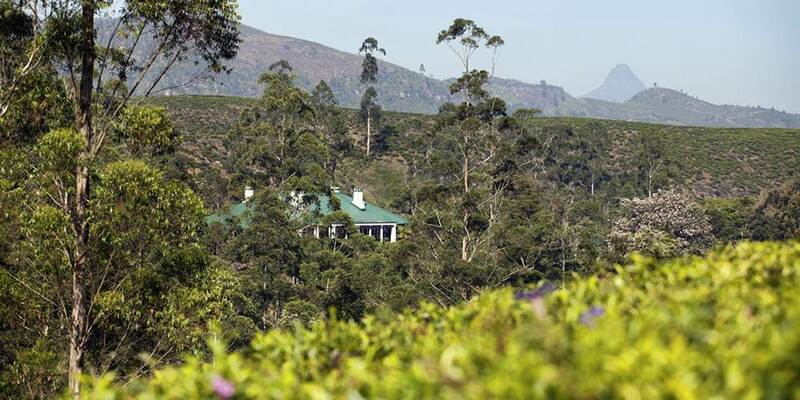 Norwood is about a 30 minute scenic drive through tea country and commands a fine view of the eastern end of the Bogawantalawa valley. Slightly further away both in distance and time, Tientsin, the oldest and highest is named after the Chinese village from which the original tea seedlings came. 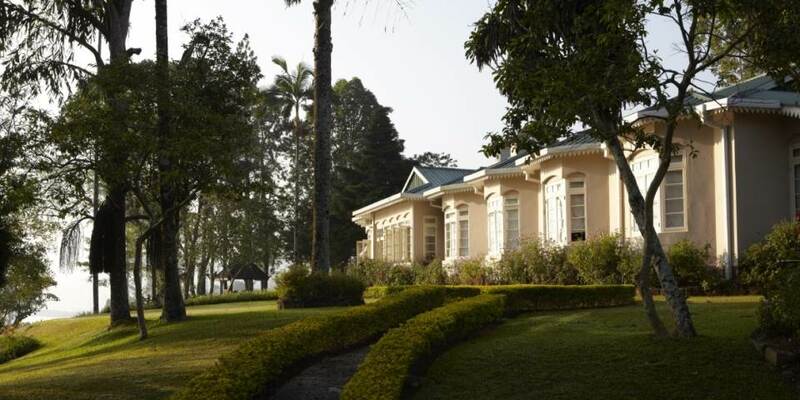 It is a historical landmark, with magnificent gardens originally planted by the tea planters’ wives, who wanted a” little bit of home” in a faraway land. It is also the only one with a tennis court which is available for guests of all bungalows.